Already an international sensation and prize-winning bestseller in France, an evocative coming-of-age story of a young boy, a lost childhood and a shattered homeland. Burundi, 1992. For ten-year-old Gabriel, life in his comfortable expatriate neighborhood of Bujumbura with his French father, Rwandan mother and little sister Ana, is something close to paradise. These are carefree days of laughter and adventure – sneaking Supermatch cigarettes and gorging on stolen mangoes – as he and his mischievous gang of friends transform their tiny cul-de-sac into their kingdom. But dark clouds are gathering over this small country, and soon their peaceful existence will shatter when Burundi, and neighboring Rwanda, are brutally hit by civil war and genocide. A novel of extraordinary power and beauty, Small Country describes an end of innocence as seen through the eyes of a child caught in the maelstrom of history. Shot through with shadows and light, tragedy and humor, it is a stirring tribute not only to a dark chapter in Africa’s past, but also to the bright days that preceded it. 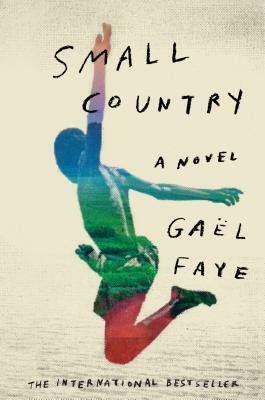 Gaël Faye was born in 1982 in Burundi to a French father and Rwandan mother. In 1995, after the outbreak of the civil war and the Rwandan genocide, the family moved to France. An author, songwriter and hip-hop artist, he released his first solo album, Pili Pili sur un croissant au beurre, in 2013. Small Country is his first novel. A bestseller in France, it has been awarded numerous literary prizes, among them the Prix Goncourt des Lycéens, and is being published in thirty countries worldwide. He lives in Paris.